I was actually introduced to this wonderful product by a friend who tagged me along Watsons Store. At first I was hesitant to try it because my skin is super sensitive whenever I try new products. Good thing that I gave in 'coz Glamworks Nose Pore Strips work wonders! I first tried their Classic variant then the Charcoal one few months after. 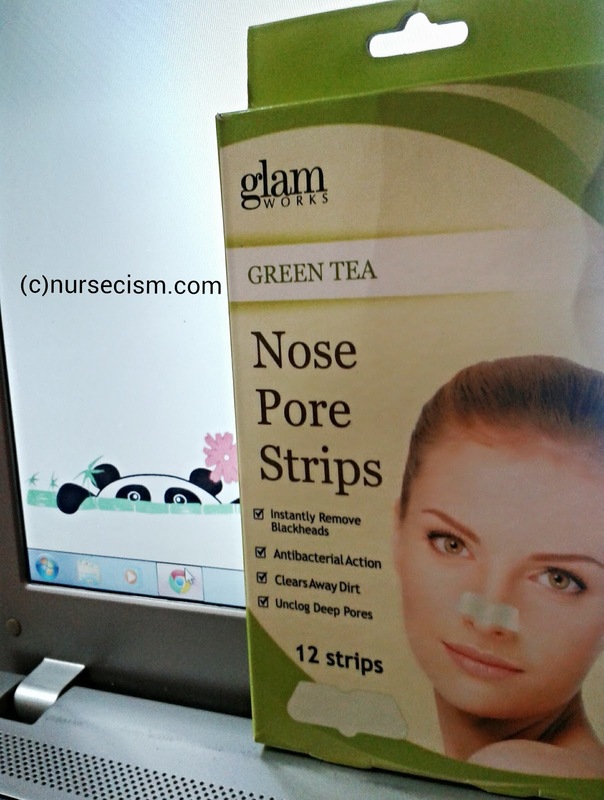 What I currently use is the Green Tea Nose Pore Strips. Green tea is known to have antibacterial properties so it is a plus factor of this product. It is very easy to use; you just have to wash your face thoroughly to remove dirt and/or make-up then apply the strip (the shiny part) on your WET nose. Keep in mind that the strip would not adhere to dry skin. Wait for 10-15 minutes or until the strip is dry then gently peel it off starting from the edges to the center. On my first use of this product, tears involuntarily fell from my eyes! I didn't expect that it was painful. :p If you cannot tolerate the pain however, you just have to wet the skin again until the strip is easy to peel. 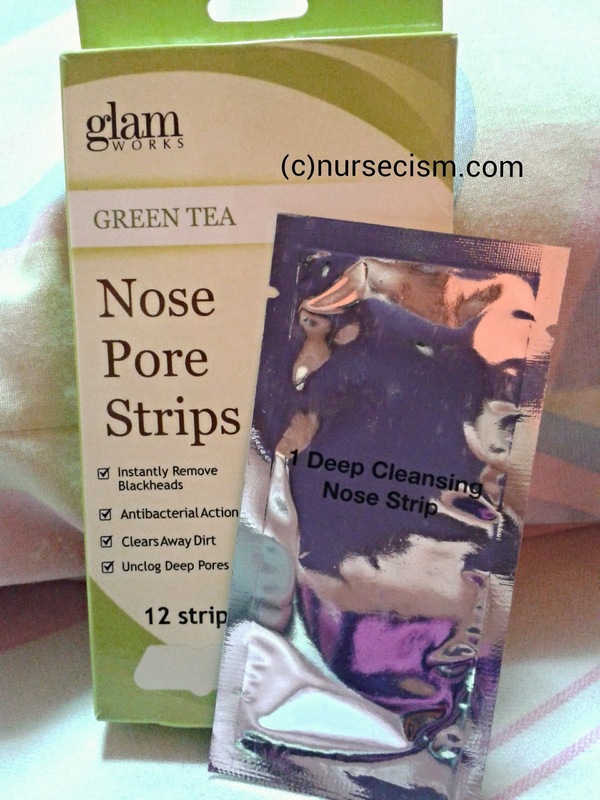 Glamworks Green Tea Nose Pore Strip was specifically made to instantly remove pore-clogging dirt, oil and bacteria. But based on experience, it could remove whiteheads too. It is so hygienic to use because each strip is housed in separate protective film foil-like wrapper. It is advised to use the strip immediately upon opening. One box of Glamworks Green Tea Nose Pore Strip could last for about two to three months depending on your usage frequency. You may use it once or twice a week with atleast three days interval. Do not put it around the eye area as it can cause irritation and I'm telling you, it's painful (though still bearable) to remove around the sensitive skin area! Do not use it either on broken, irritated or burned skin. Price: 99php (approximately $2) | Available at Watsons. I wasn't able to take photos while using the product but I promise to update this post once I got them already! :) For now, I give you my word that this product really works! It instantly removes unsightly imperfections from the skin of your nose! If I have to rate its performance, I would give a 98/100%. Why? Small bumps cannot adhere to the strip leaving some white/blackheads. But with regular use, this product might remove them all eventually and it can even reduce the appearance of pores.